5 countries, 5 days: This Week is a Footy Picks Bonanza! Lazio came away from Milan with a nil-nil draw in the first leg meaning that a victory at home sends them to the final. But Milan are in some fine form themselves having not lost a game in 2018 and having not conceded a goal in their last 5 matches. I fancy the Rossoneri to at least drag this to extra time. Las Palmas is on the Canary Islands which is quite a distance from Spain. So the idea of them being a La Liga side is a bit of a novelty which may end this season if they don't climb out of relegation. In any case they get to host Barcelona who don't score as much they have in years past but have covered the spread in this fixture the last 3 times. Las Palmas can play some crackers but against this opposition, it is likely them who will get cracked. After getting smacked by Manchester City this past Sunday in the Carabao Cup Final at Wembley, and having to listen to every media outlet who covered the game calling them gutless, spineless, cowardly and several other pejoratives, how will Arsenal respond at the Emirates to Man City four days removed this Thursday at 2:45pm EST? I think the Gunners will have a proper go and I see this playing out like a shootout similar to games that each of these clubs have had with Liverpool and amongst themselves over recent history. Arsenal will almost never put in a good defensive performance with this roster but they can create chances. After Sunday, City may suffer a bit of a let down which I see translating into a 3-2 final...but I could care less which team actually wins. I just want the goals. Our Friday afternoon brunch takes us to Ligue 1 where Monaco have gone mostly unnoticed this season. After being the darlings of the soccer world last season making the semifinals of the Champions League and winning the French League, slaying giants all along the way, they were ravaged by the bigger clubs in the summer, as happens, and now find themselves forgotten. But still able to put in good performances at home this season, going 11-2-1, has kept them in 2nd place and having seen their last 8 games all have a minimum of 4 goals scored means that if you bet them the right way, there are still profits to be had. Earlier this season Leipzig beat Dortmund 3-2 and we can expect another back and forth affair this Saturday March 3rd at 12:30pm EST. 67% of Leipzig home league games go over 2.5 goals, and 58% of Dortmund's away league games have gone over so far this season. On a 3 game losing streak in all competitions Leipzig has 2 choices this weekend, try to absorb wave after wave of yellow and black attack or hit them back. Both these sides love to play wide open football making for a very palatable game for any football fan. If they can convert on a few of the plethora of chances they will surely generate, this should be an easy scoop. 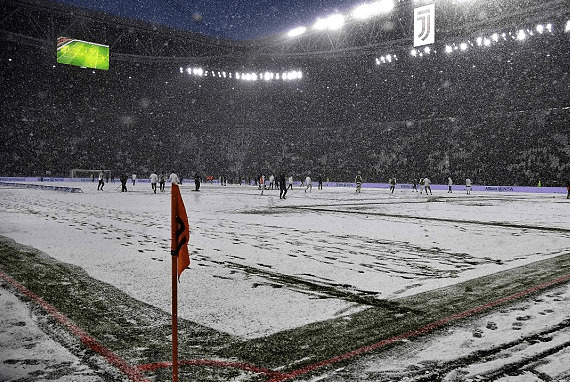 Juventus had their game last weekend cancelled because the pitch was frozen. Napoli easily won their game meaning they now have a 4 point lead and Juventus have a game in hand. Juve play at Lazio on Noon this Saturday meaning Napoli will know their result before hosting Roma at 2:45pm that day. Juventus can't blink and hopefully won't be over confident against a Lazio side that has beaten them the last 2 meetings and who roster Serie A's leading goal scorer in Ciro Immobile. This legitimately looks like a game where the Old Lady could drop points. But we're not in that business. This punter will ride Juventus until they give him reason not to. Which brings us to Sunday and two heavyweight collisions. Atleti are riding a 7 game winning streak and sit in 2nd place in Spain 7 points behind Barcelona and the only chance at a title race this season means Simeone's men have to win this game. 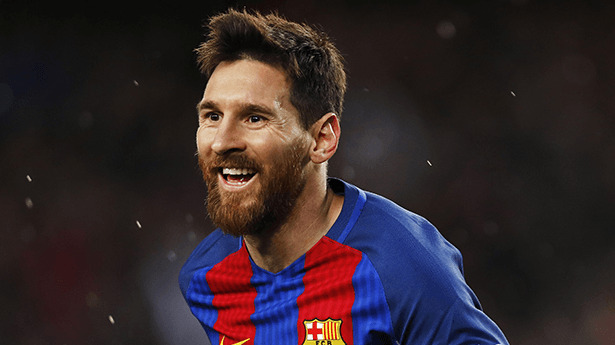 But having last won at the Camp Nou all the way back in 2006 makes handing Barcelona only their 2nd loss of the season a huge ask. What Atleti can do quite well is clog up the middle of the field where Barcelona create their best chances and force the ball out wide where they are less likely to hurt you. Atleti may also be seeing the emergence of a really good strike parternship with Diego Costa and Antoine Griezmann meaning that when they do eventually get the ball off Barca they can lob it up to their monster who will be happy to feed off the scraps and try and turn them into a full course meal. I don't see either team losing because Atleti are just too good at the moment so the price for the Draw is worth a shot. Chelsea's only hope in this one is that Man City are tired after a long week of celebrating and scoring goals against Arsenal. Otherwise, the Blues are not looking good. Having been able to summon up some really good showings in the odd game here and there can fool us into thinking that they can play like the Champions they were last season. However, there are just too many issues with this squad; strikers who don't score, a gaping hole next to Kante in the midfield and an over reliance on players who aren't ready yet to play week in, week out. Top it all off with an unhappy manager and it looks like there's a chance this team could get blown up if they don't make top 4. In any case it will be another week of City having most of the ball and Chelsea sitting deep looking to counter and I don't see it working.